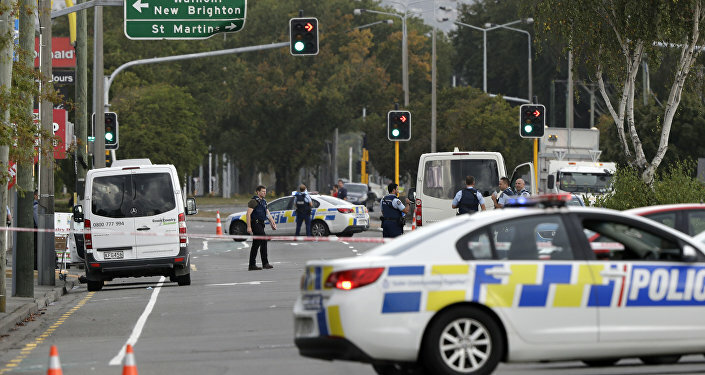 The act of egg-ression came the day after the deadliest shooting in New Zealand's history, which Senator Anning blamed on the nation's immigration programme. Queensland Senator Fraser Anning was seen engaging in a brief fight with a teenager who egged him in front of the cameras. Anning was talking to reporters in Melbourne when a boy approached him from behind, got his phone out to record his stunt and slapped an egg on Fraser's head. The senator turned around and attempted to punch his affronter in the face twice, managing to land one blow. Anning's supporters from the crowd immediately pulled them apart and tackled the boy, who was later escorted out by cops. A police spokesperson said the unnamed young man, who is believed to be 17 years old, was released without charge pending further inquiry. The clip has triggered an avalanche of reactions on social media, with users seemingly outraged with the amount of force that was used to subdue the egg-tivist. I'm not a lawyer but both the second hit and the two adults forcibly pinning the child down seem disproportionate to the act of egging and the fact he appears to be a teen. — Mikes Recovery (@mikes_recovery) 16 марта 2019 г. ​Others opined that the senator deserved the egg and praised the boy as a "hero". Just think about it. That slightly built teenager went into a room full of nazis and made a perfect age-old protest. Knowing that those thugs surrounding Anning would retaliate. He is an absolute hero!! — Dirty Boulevard (@dirty_boulevard) 16 марта 2019 г. — Giovanni Torre (@GiovanniTorre) 16 марта 2019 г. — Russell Hayward (@russelljh) 16 марта 2019 г. However, some people leapt to Anning's defence, saying that he had the right to retaliate. Fraser Anning is one of the most loathsome people I have ever but if you are assaulted you are entitled to retaliate. — Derryn Hinch (@HumanHeadline) 16 марта 2019 г. — ZuPper (@Chilman24) 16 марта 2019 г. The egg incident came in the wake of deadly attacks on two mosques in neighbouring New Zealand, which claimed the lives of 49 worshippers. The gunman described himself as a fascist who wanted to push back what he called an "invasion" of immigrants. Fraser Anning condemned the shootings but said there was an apparent link between violence and Muslim immigration. He went on to claim that Muslims "usually are the perpetrators" of violence and that Islam is tantamount to fascism. His statement caused a furore on social media; Australian Prime Minister Scott Morrison called it "disgusting" and noted that such views "have no place in Australia, let alone the Australian Parliament". Meanwhile, activists have kicked off an online petition, seeking to remove Anning from office. It has garnered close to 300,000 signatures as of the time of the writing. Moreover, according to Australian reporter James O'Doherty, the parliament is working on a motion to censure Anning for his comments.